Makers of all types can get involved in this celebration of Sheffield’s thriving tradition of design, innovation and craftsmanship. Sheffield’s Year of Making was officially launched at the beginning of April, with a wide range of activities scheduled or in the works. 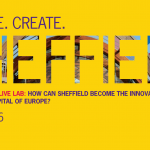 The Year of Making 2016 celebrates Sheffield’s past, present and future as a city of makers and promotes a world city with an international reputation for excellence and innovation. 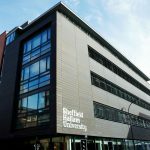 It covers all forms of making in the city and region – from advanced manufacturing, specialist steels, digital industry, forged products and cutting tools to award winning theatre, international art and design, ground-breaking research and world class talent. Looking at the calendar of events on the website so far, I can’t help but feel that it only scratches the surface of the vast range of making that happens in our city. The organisers are keen for people to add their own events to the calendar and I would encourage the digital and hardware makers and hackers in our community to do so. This is an excellent opportunity to raise the profile of digital making and make it visible to a wide community. Algorave, Arduino, Code Club, Raspberry Pi, laser cutting, 3D printing, hardware hacking, 3D visualisation, animation, graphic design, music composition, games, AR and VR, CAD and CAM, robotics, product design and prototyping and lots and lots of code. Events that I am aware of include a digital and making Playground as part of the Children’s Media Conference, an Alternate Realities stream at DocFest, a Maker Assembly and Sheffield Design Week. The Art Sheffield Festival that starts next weekend also has a variety of digital elements. And there’s this Computer Club music event in July. That’s just for starters. So, if you’ve got something “makery” planned, you can upload it to the Year of Making website using this form. And don’t forget to add it to the Sheffield Digital events calendar as well. You can do that via the Sheffield Open Tech Calendar or by letting us know in the comments or via email.